Marshall Mathers Foundation involved in fundraiser supporting the DBG Youth Program. The donation page shares that the “ten lucky winners will be chosen to win the already-sold-out Southpaw boxing gloves made by Title and autographed by Eminem. 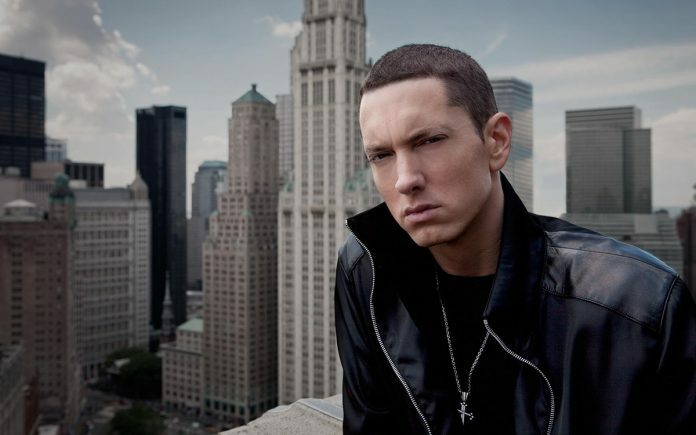 Additionally, one grand prize winner will get a handwritten response to a “Stan” fan letter from Eminem himself!”. Eminem is being a part of the buzzing Southpaw (2015) boxing drama. In fact he was originally penciled to play the main role. Southpaw drama tells the story about boxer Billy Hope turns to trainer Tick Willis to help him get his life back on track after losing his wife in a tragic accident and his daughter to child protection services (IMDb). Southpaw hits the silver screen in Australia this Thursday 20 August 2015.